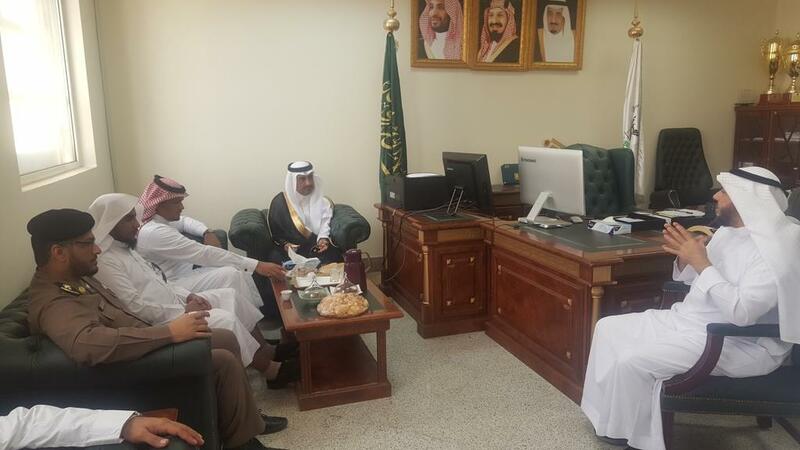 Mr. Al Zahrany, Al Jamum Governor visited the University College in Al Jamum (males section) on Monday 3/2/1439H. He was received by Dr. Tawfik Al Sherif, the Colgge dean; vice-deans, and department heads. 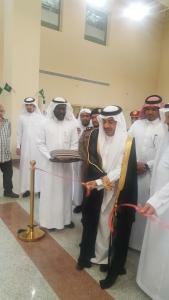 The visit included the various departments of the college and the exhibits held at the college. The Governor expressed his pleasure for the achievements made by the college and the successive leaps it makes to realize Saudi Vision 2030. 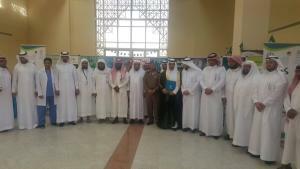 He also commended the role of the college in supporting the initiative of "How be Exemplary". On his turn, the College Dean demonstrated the support the College received from the government, and also displayed the aspirations to be achieved in the future praying for God to maintain safety and prosperity on the people of Saudi Arabia.